We accept most common file formats. All are compatible with digital printing, but for offset printing files need to be set up either in spot (PMS) colors or CMYK (for 4-color printing). Typically Word, Powerpoint and Excel files do not have the correct color formatting to be used for offset printing. We encourage the use of PDF files, especially for digital printing. For best results, PDF files must be press quality or PDF X-1a. CMYK/RGB/PMS/SPOT? What do these mean? Digital printing and process (full color) offset printing are printed in these 4 colors. When these 4 ink colors are combined in various proportions, they can create a full range of colors. We can convert any file to CMYK. When these three colors are combined on a computer monitor, they can display a wide range of colors. Since this only works for projected colors, not for printed colors, any files that use RGB colors will be converted to CMYK when printed. RGB has a wider range or gamut of colors than CMYK and the colors can be more vibrant. So if you submit an RGB file for printing, the colors may “pop” less than they do on your monitor. This denotes the inks used for offset printing based on the Pantone Matching System ®. This type of printing yields the most accurate color matching, important for logos and corporate identity, because the ink is specially mixed and is matched to an objective standard. All high-end graphics software comes with Pantone libraries. Just be sure to be consistent in your choice of colors (e.g. PMS 301C is not the same as PMS 301U). What is bleed and why do printers keep nagging me about it? When you want your art (photo, background color, etc.) to print to the very edge of the sheet, you need to create a bleed. This means that the art actually extends at least 1/8” beyond the finished size of the printed piece (called the “live area” in printing terminology). Your project will then be printed on an oversized sheet and trimmed to its final size. While our bindery department is skilled, they can’t trim with surgical precision ... that’s why we need bleed. If you’re not sure how to add bleed to your document, call us and we’ll gladly talk you through it. Do I really need to know about impositioning? Not really. If you’re comfortable with that sort of thing, we’d be delighted to get your files already impositioned. But do check with us first to see how we’ll be running the job. Otherwise, we have the software to imposition your job for you, whether it’s 8-up for digital business cards or printer’s spreads for a booklet. What’s better - digital or offset printing? It all depends on your particular needs. We are not a one-size-fits-all print shop. Every job is unique and we take pride in finding the unique approach to each job that gives the customer the best quality, price and turnaround. 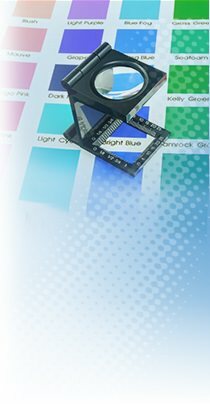 Offset printing is superior in accurate color matching, compatibility with a wide variety of stocks, cost-effectiveness on long runs. Digital printing excels in short runs, tight deadlines, variable data, vibrant full color printing. A combination of all these factors determines whether we’ll recommend digital or offset printing.